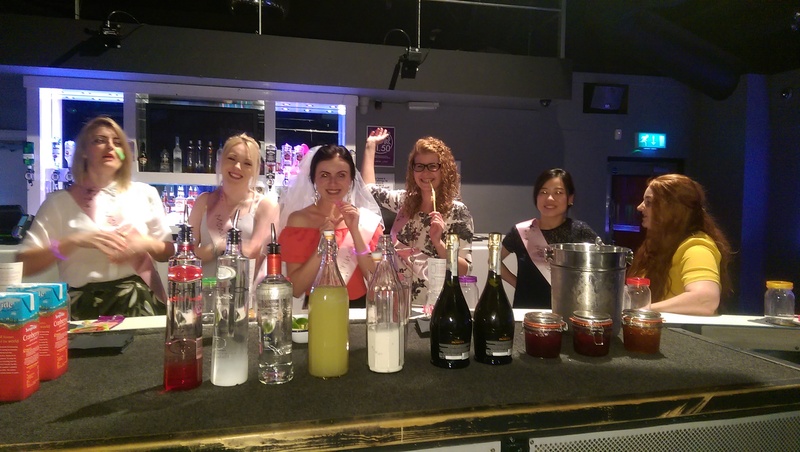 So the hen party I have been blogging about was on Saturday!!!! After all the planning I got quite nervous on Saturday morning thinking about everything that could possibly go wrong. The plan for the day had been sent to all the girls, I had researched where to park, printed off a map to show how to get from one venue to the next, and I had the confirmations of booking printed off too. One of my fears was that I’d forget the hen party bags, but alas I put them in my car hours before I was due to leave. Unfortunately all the planning in the world couldn’t prepare me for one of the girls dropping out at 2PM when she was supposed to be at my house at 3:40PM. So from 7 down to 6 we went. Upon arriving in Oxford and entering Lava & Ignite I handed out the hen party bags and gave the Hen her veil. The sweets were gobbled up, diamontes were stuck on faces, foot cushions inserted into heels, and willy straws taken with great gusto. Some of the girls struggled with their sashes so I helped them fasten their sashes in the right place before we bounced over to the bar to begin our cocktail making master class. 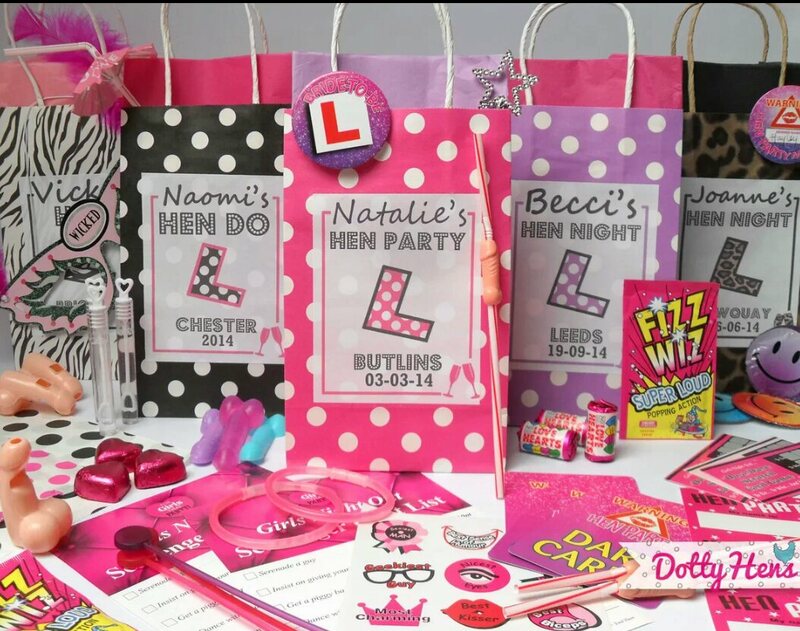 If you are planning a hen party I would definitely consider buying hen party bags. Some of the items really came in handy, such as the foot cushions and the girls really loved finding all the different items that had been put in their bags. The cocktail class at Lava & Ignite was well planned by the club and thoroughly interactive. The tools we had to create our cocktails with were three plastic jam jars, a spoon and a shot glass. We each made three cocktails that included jam. Yes jam! Odd I know, but strangely the jam in the cocktails was really good. The thought behind this was that they wanted us to learn how to make cocktails we could easily make at home. Three generous cocktails and liberal portions of prosecco later we were all feeling a little giddy and definitely ready for a burger before laughing our socks off. Coming out in to the daylight after being inside a dark windowless club was a rather disorientating experience. The outside of the Glee Club is quite nice, plenty of clean looking decking and large wooden benches and tables and most importantly, clearly visible for slightly tipsy hens. The Glee Club in Oxford is second to none as far as local comedy clubs go. The staff were incredibly friendly throughout our evening and I couldn’t recommend the venue enough! Planning the hen was so enjoyable. I would love to plan a hen again in the future. Even if I don’t get to plan another hen party at least I’ve got my hen party next year to look forward to! Here are the Hen Party Bags I ordered from ‘vintage*dotty’ on eBay. The personalisation service they offer is second to none. For only £2.95 per bag you choose the colour of the bag, the design and information on the label, the colour of the tissue paper inside the bags and you choose 8 items out of a large list to fill the bags with. The 8 bag fillers I decided upon are: Willy Sucking Straw; Mini Survival Kit; Scavenger Hunt Game Sheet; Strip of 10 Diamanté Face Jewels; Love Heart Sweets; Red Juicy Lip Sweets; Neon Pink Bracelet and Stiletto Fashion Foot Cushions. I also put the sashes I ordered from PartySashesGalore.co.uk in the bags and wrote each hens name on the bag so the process of handing them out is easy. Sitting out in the sun this afternoon to assemble the bags was very enjoyable. Two months ago I published a post saying how my colleague and friend had asked me to plan her Hen Do for her. At the time I had only just started thinking of ideas so what I have ended up booking is slightly different to my initial thinking. Travel Plans: Myself and another lady are designated drivers. The comedy tickets at the Glee Club in Oxford have been booked, the personalised sashes have arrived and the party bags are due to be delivered in about 3-4 days (about 7 days from ordering to expected delivery). We decided to go for sashes instead of t-shirts so that each person can wear whatever they like whether they choose to wear a dress or jeans. I ordered the personalised sashes from PartySashesGalore.co.uk as they enable you to choose the colour of the sash, the colour and style of the font and the wording on the front and back. For the price, the quality and speed of delivery is amazing. I decided to go for pale pink with gold writing. The pictures I took below really don’t do them justice. The sashes come with Velcro circles you stick in the desired place to secure the two ends. We decided to give each other Little Miss Names for quirky un-offensive nick names everyone would be happy to wear. The sash I’m wearing in the picture is ‘Little Miss Giggles’, the only person who has a Little Miss name that is not a real Little Miss is the B2B who has ‘ Little Miss Princess’. Initially Hen Party bags were a bit of a mystery to me. I’ve only ever been on one hen do, which was planned with very short notice and hadn’t really heard of hen party bags before. One of the other hens suggested getting them, so I did some research and found a company on eBay called ‘Vintage*dotty’. The personalisation service they offer is second to none. For only £2.95 per bag you choose the colour of the bag, the design and information on the label, the colour of the tissue paper inside the bags and you choose 8 items out of a large list to fill the bags with. The 8 bag fillers I decided upon are: Willy Sucking Straw; Mini Survival Kit; Scavenger Hunt Game Sheet; Strip of 10 Diamanté Face Jewels; Love Heart Sweets; Red Juicy Lip Sweets; Neon Pink Bracelet and Stiletto Fashion Foot Cushions. I will put a sash in the bags when they arrive and write each hens name on the bag in preparation for handing them out at the meal. All the hens know about the sashes and know I have ordered party bags but I have kept the details of the bags a secret so that the other girls have a surprise on the night. All details except for the date are being kept secret from the B2B.